"Everything was in poor condition, especially the bathroom. Lovely staff, though. Don't stay at this hotel.2018-08-07"
"A positive experience. Convenient location right on Highway 53 heading north. Good value. The hotel room was clean, and the staff was friendly.2018-01-11"
"I loved this hotel. It was clean, comfortable, and close to the prison. The employees were friendly, and the continental breakfast was awesome. I highly recommend staying here.2018-01-10"
"An excellent experience. The room was clean and comfortable, and the hotel staff was friendly. Awesome breakfast. We'll definitely stay here again.2017-10-16"
"Not a good value. The bathroom was small and had dirt in the corners. Find another hotel.2017-07-18"
"Convenient to stores. The hotel needed better soundproofing; we could clearly hear conversations in the adjoining room. 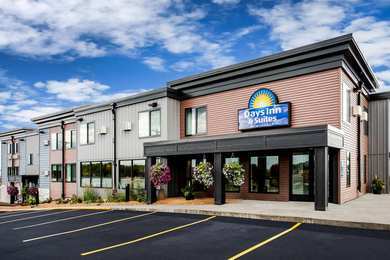 Friendly employees and great breakfast.2017-05-13"
"A good, clean hotel with friendly personnel. Book a room.2016-08-15"
"Good location. The hotel staff was friendly. Decent breakfast and good coffee. Nice place to stay.2016-07-18"
"This was the worst hotel room I've ever stayed in. It was extremely small and had a foul odor. I woke up to find a bug crawling on my arm. The exhaust vent in the bathroom was hanging off the wall, and the caulking around the bathtub was poorly done. The faucet wasn't secured to the sink. The check-in clerk was too busy with a personal call to help me. Don't stay here.2016-07-05"
"I had a quick but good stay at this hotel. I checked in late, so I missed the popcorn and cookies, and I left too early for breakfast.2015-09-16"
"The hotel was across the street from Starbucks and Miller Mall. Clean room and nice staff. Breakfast had good options. I was happy.2015-09-06"
"This hotel was a big let-down. The pool and exercise room were very small. Try somewhere else.2015-08-24"
Learn more about Duluth Hotels & Motels in our Duluth Hotels Guide.